to send us off and wish us well! it could be that special! I already email to u all.Also post in my personal multiply site..but can't view at china. 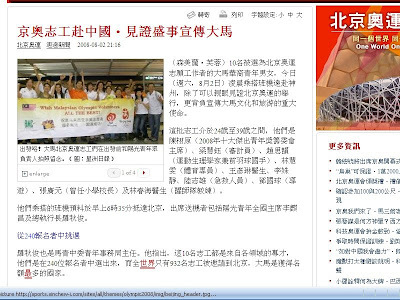 Ohya....Sin Chew Daily is correct name...cheers !! Tey...leaving my house 9.30pm.12.30am flight...!